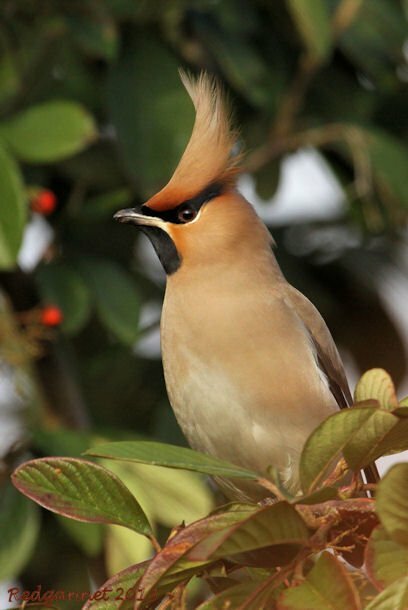 Judging by the abundant links on the previously posted articles, it would seem that waxwings send folks all-of-a-flutter. 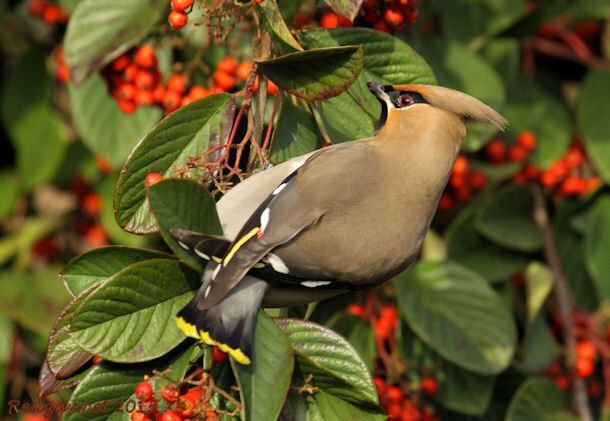 The BBC’s Autumnwatch program have been following the migration here and have asked viewers to be especially on the lookout for Bohemian Waxwings as they cross the North Sea to visit the berry bushes of the UK. The birds we see here mostly migrate in from Scandinavia where they breed during the northern summer. 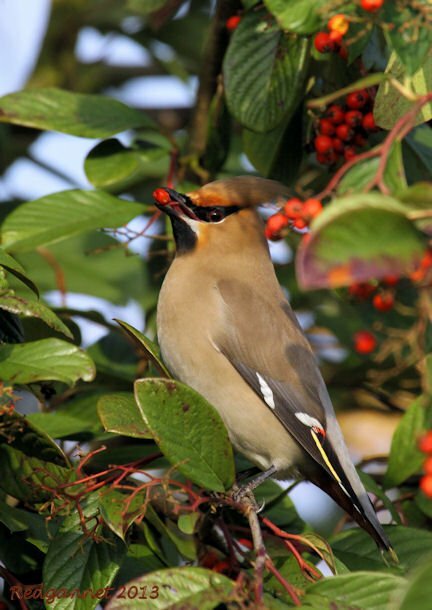 During harsh winters more and more waxwings make the journey to Britain along with Redwings and Fieldfares. Once here they head for supermarket car parks and suburban gardens that are liberally planted with Rowan trees, Hawthorn bushes, Cotoneasters and Crab Apples. Difficult conditions force them to move and they often arrive very tired and extremely hungry. 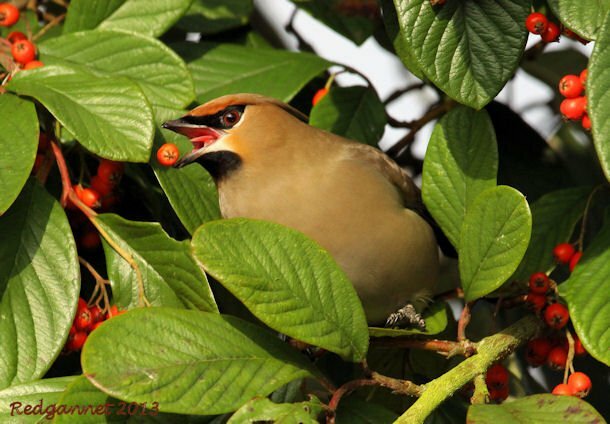 In their eagerness to feed, they allow local birders to approach and get excellent views. Congratulations on these fantastic photos! I love our local Cedar Waxwings, and would love to see a Bohemian one day.